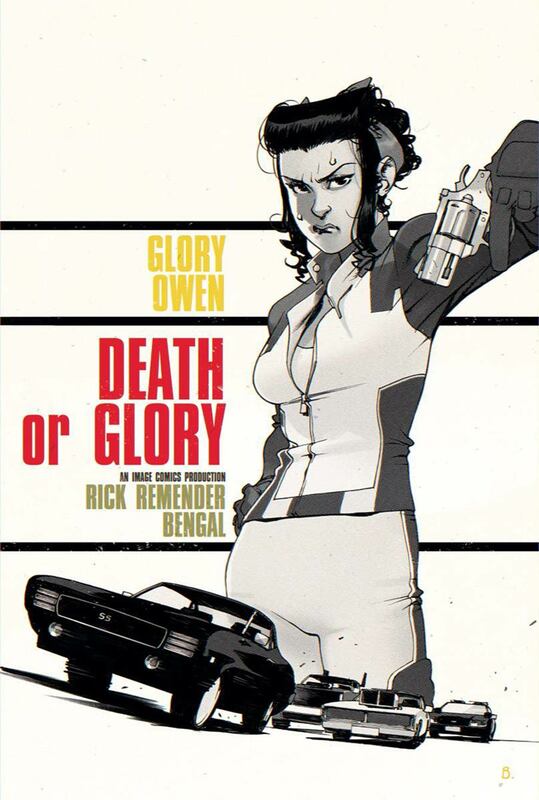 With the previous two issues of Death or Glory, Remender and Bengal find their footing by effectively establishing the characters and craziness that takes place in their story. With the third issue of the book, the two creators turn it into a full-on sprint. 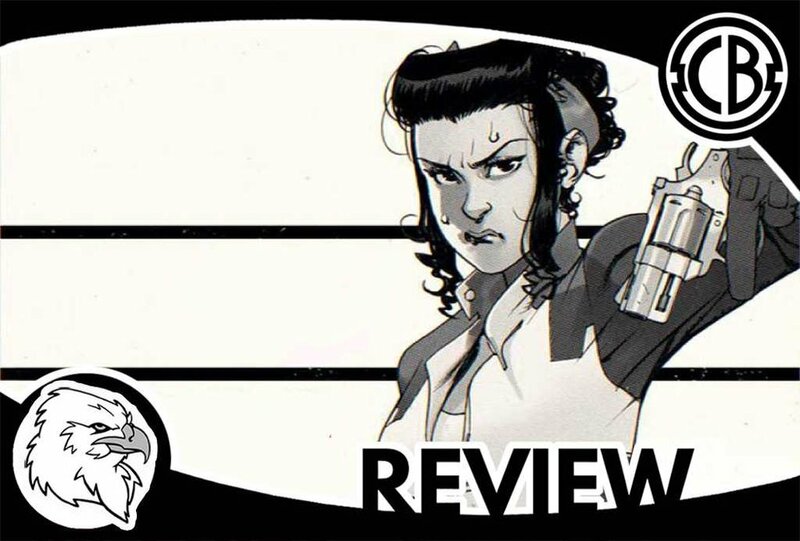 Easily the best issue in the series so far, Death or Glory #3 manages to effectively mix engaging action and thrills with captivating and genuine character development. In this issue, the titular character, Glory is fleshed out, as Remender provides the readers with details to her history. You get to see what exactly makes Glory tick, where her motivations stem from, and why she has such a deep disgust for her ex-husband. Additionally, Glory and company begin to execute their plan to infiltrate the cannibal meat shop to retrieve the much-needed money. While one half of the book focuses on Glory’s history, the other half displays the action scenes that takes place in the present. Much of the first half, which emphasizes Glory’s history, reads like a traditional novel with the text designated to the sides of the page with Bengal’s art accompanying each piece of text (Brubaker and Phillips have done this in Kill or Be Killed as well). That’s not to say that this is a bad thing - it’s actually done extremely well, and can actually be argued that it serves the story better than filling each panel with large boxes of text. Rick Remender does a masterful job juggling the character development with the thrills in the second half of the book. As Glory narrates her backstory to the reader, you begin to understand her actions and why she’s so desperate to save Red’s life. It is a truly interesting backstory, and even one fit for a superhero. Remender also creates a thrilling heist scene. He inserts twists and turns throughout the issue by re-introducing a sinister antagonist from a previous issue and leaves you wanting more with an awesome cliffhanger. Bengal’s art, again, is truly great. In my previous review, I compared the pencils to one of my favorite artists of all time, Chris Bachalo. Shades of Bachalo are seen again in this issue as Bengal utilizes cartoony, expressive, and exaggerated details. The artists are able to convey the characters emotions well and perfectly executes the action and chase scenes that take place within the story.